I do not know what came over me today when I was setting up today’s Thanksgiving turkey craft. 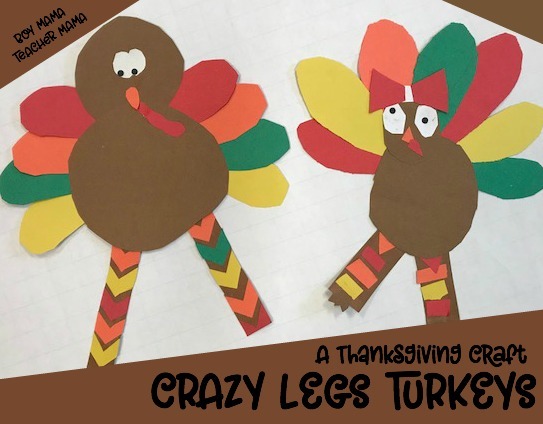 I saw something briefly on Pinterest and it sparked an idea- turkeys with crazy looking legs. Sort of Pippi Longstocking-ish I guess. 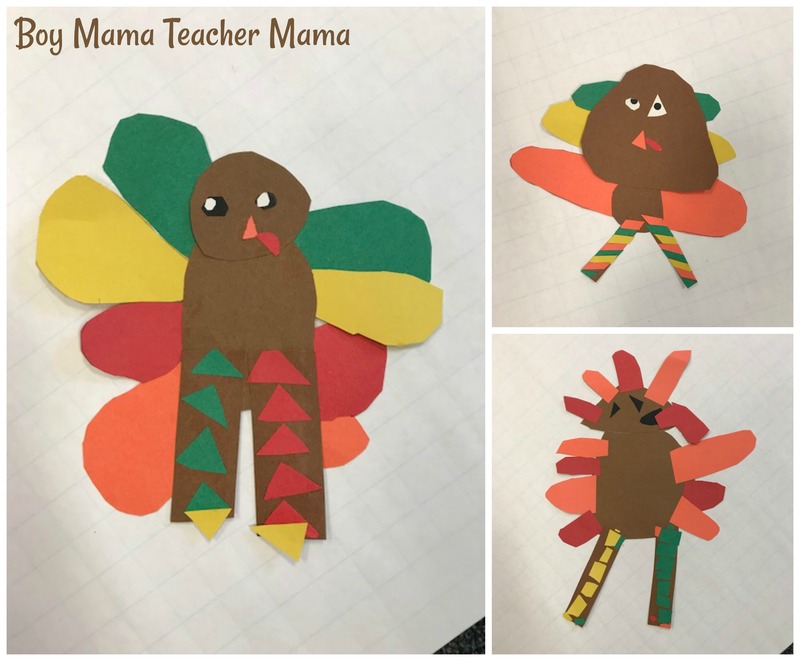 I told the kids were were going to make turkeys, but the one added direction was that the turkey’s legs had to have shapes on them (we are learning about shapes right now) and needed to look a little crazy. 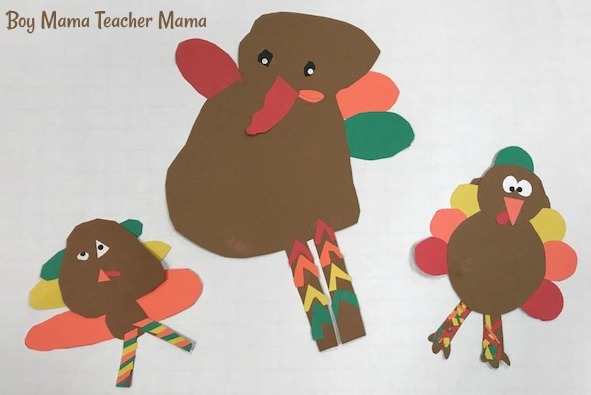 I showed them how to make a pattern on a long strip of paper using triangles, rectangles and v shapes and then how to trim the strips to make the legs. It was then up to them to create their own turkeys. I have to say they came out really well.